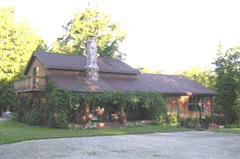 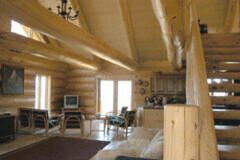 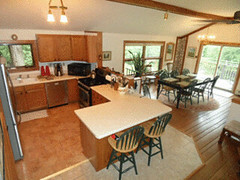 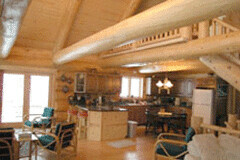 This beautiful log cabin has 3 bedrooms and two baths and sleeps up to 8 guests. 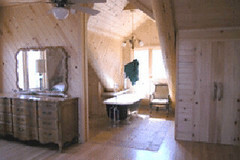 Two bedrooms are on the main level with a bath in between. One bedroom has a queen and a full sized bed, and the other bedroom has a full sized bed and access to the deck that overlooks Lake Superior. 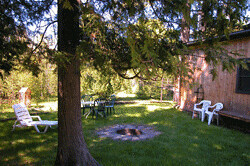 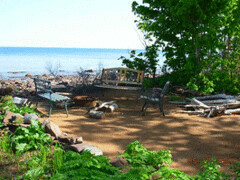 The Cottage Up North (1 mile east of the Porcupine Mountains State Park) is a three-bedroom cottage on the shores of Lake Superior. 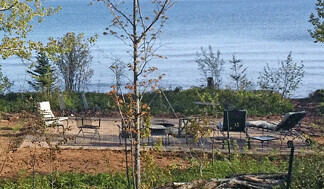 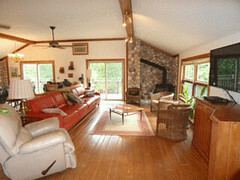 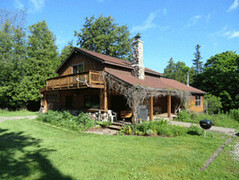 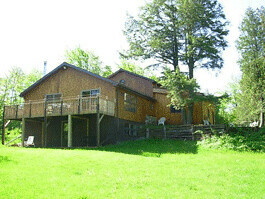 The Cottage Up North has 3 levels built into a hillside and overlooking Lake Superior. 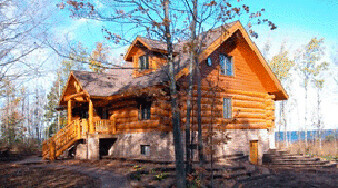 The main level contains a large bedroom with a wood burning fieldstone fireplace, full bathroom, and a large living room with satellite TV. 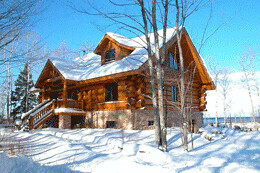 It will comfortably sleep up to 10 guests, has 2,900 square feet of living area, and has 330′ of frontage on Lake Superior offering a spectacular view of the lake, the Porcupine Mountains, and outstanding sunsets.